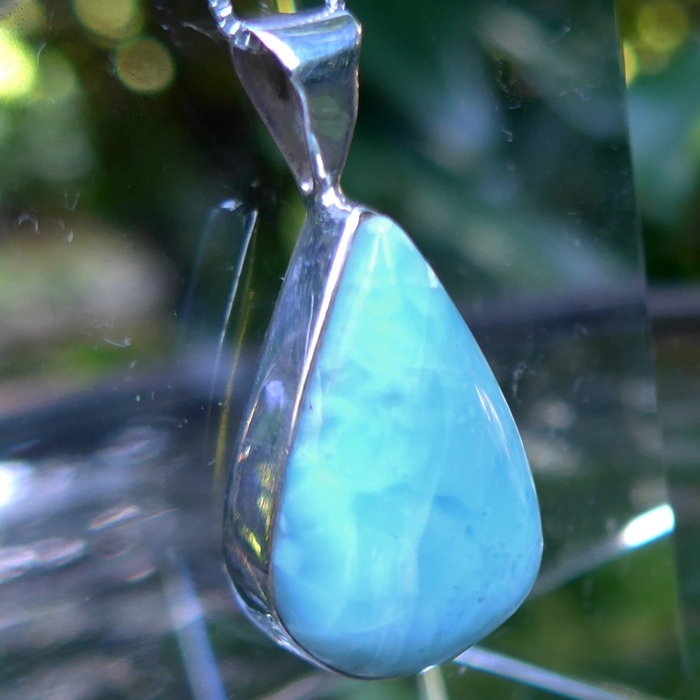 Dimensions (HxWxD): 1.45" x .75" x 0.375"
This beautiful deep blue Larimar Teardrop pendant, which comes directly from a source in the Dominican Republic, is of exceptional quality, both in the cut of the stone and in the simple silver band setting which allows the stone to breathe and function at its highest vibration. 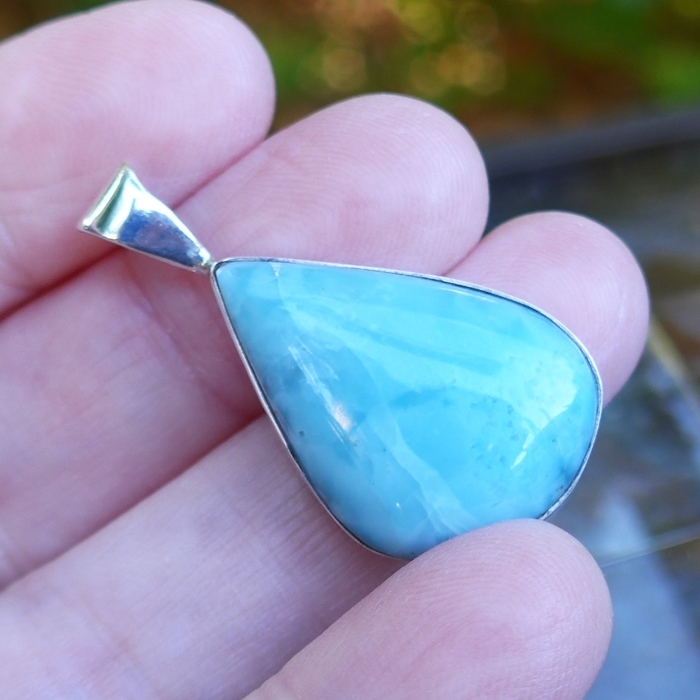 This pendant comes with an 18 inch sterling silver chain which will sit upon the thymus, between the throat and the heart chakras, where it will be of most beneficial resonance, and comes in its own velvet jewelry box. Note: weight above is shipping weight. Net weight 7.4 grams or .26 oz.